By Robin Ann Smith, Ph.D.
— DURHAM, N.C. — Discovered more than half a century ago in Kenya and sitting in museum storage ever since, the roughly 20-million-year-old fossil Propotto leakeyi was long classified as a fruit bat. Now, it’s helping researchers rethink the early evolution of lemurs, distant primate cousins of humans that today are only found on the island of Madagascar, some 250 miles off the eastern coast of Africa. The findings could rewrite the story of just when and how they got to the island. In a study published August 21 in the journal Nature Communications, and funded in part by The Leakey Foundation, researchers have re-examined Propotto‘s fossilized remains and suggest that the strange creature wasn’t a bat, but an ancient relative of the aye-aye, the bucktoothed nocturnal primate that represents one of the earliest branches of the lemur family tree. The reassessment challenges a long-held view that today’s 100-some lemur species descended from ancestors that made their way to Madagascar in a single wave more than 60 million years ago, becoming some of the first mammals to colonize the island. Instead, the study lends support to the idea that two lineages of lemurs split in Africa before coming to Madagascar. 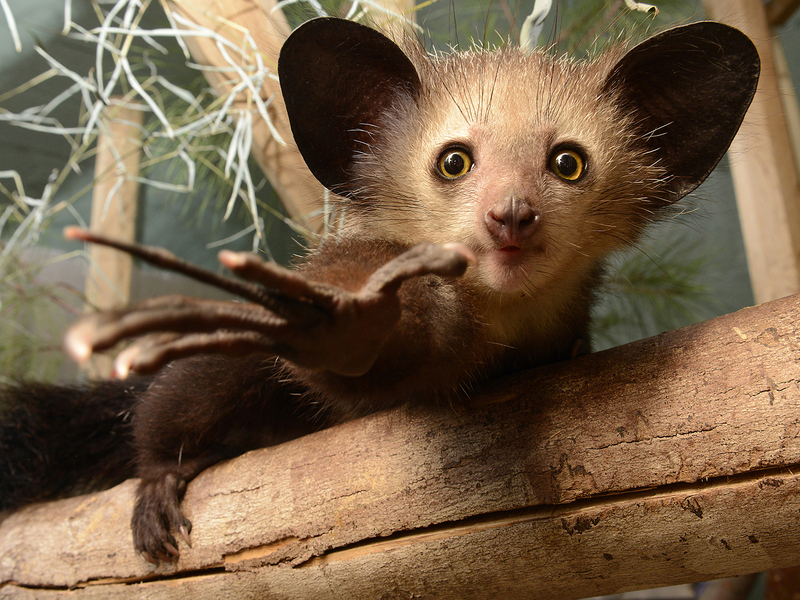 One lineage eventually led to the aye-aye, and the other to all other lemurs. There are no lemurs left on mainland Africa. These ancestors then colonized Madagascar independently, and millions of years later than once believed. “One implication is that lemurs have had a much less extensive evolutionary history on Madagascar than was previously thought,” said study co-author Erik Seiffert, professor of anatomy at the University of Southern California. When Propotto was first described in the 1960s, experts didn’t agree about what they were looking at. They didn’t have a lot to go on: just three lower jaw bones, each barely an inch long, and a handful of teeth less than three millimeters across. In 1967, paleontologist George Gaylord Simpson inspected the fragments and classified the specimen as a previously unknown member of the loris family, nocturnal primates with enormous eyes. But a colleague named Alan Walker took a look and thought otherwise, eventually convincing Simpson that the bones belonged to a bat. For nearly half a century the creature’s identity appeared to have been settled, until 2016, when another paleontologist, the late Gregg Gunnell of Duke University, began taking a fresh look at the fossil. To Gunnell’s eye, the creature’s hind teeth were more reminiscent of a primate than a bat. He also noted the stump of a broken front tooth, just visible in cross-section, which would have jutted out from its mouth like a dagger — a trait only known in aye-ayes, the only living primates with rodent-like teeth. “Gregg wrote to us and said, ‘Tell me I’m crazy,'” Seiffert said. To verify Propotto‘s place in the primate family tree, Seiffert and Steven Heritage of Duke’s Division of Fossil Primates analyzed more than 395 anatomical features and 79 genes for 125 mammal species, living and extinct. 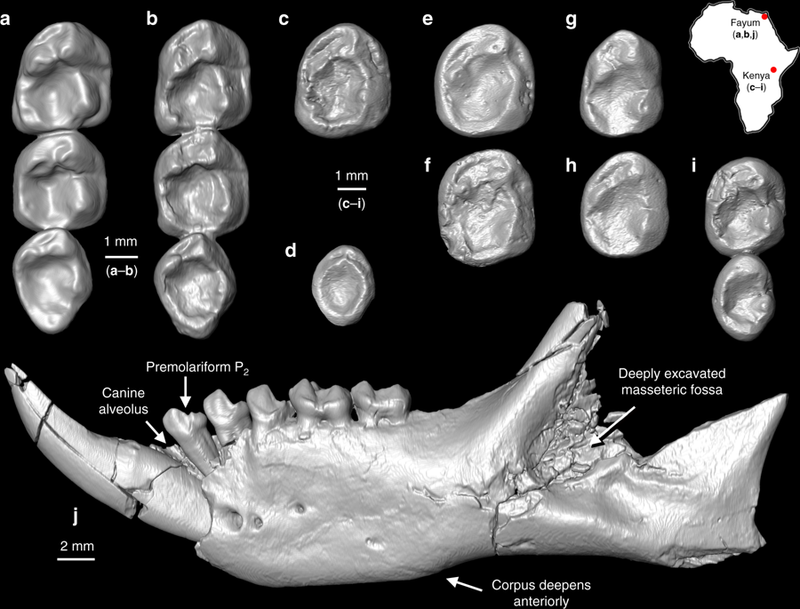 With help from Doug Boyer, associate professor of evolutionary anthropology at Duke, the team also compiled microCT scans of the lower molars of 42 living and extinct mammal groups, including bats, treeshrews, and primates. They then used a computer program to compare the bumps, pits and ridges on the scans of Propotto‘s teeth to those of other animals. The researchers found that Propotto shared a number of features with a similarly buck-toothed primate that lived 34 million years ago in Egypt called Plesiopithecus, and that both were ancient relatives of the aye-aye. In the new study, Seiffert, Gunnell, and colleagues propose that the ancestors of aye-ayes split from the rest of the lemur family tree roughly 40 million years ago, while still on the African continent, and the resulting two lineages didn’t make their separate ways to Madagascar until later. The findings suggest they arrived around the same time as other mammals, such as rodents, Malagasy mongooses and hedgehog- and shrew-like animals called tenrecs. Frogs, snakes, and lizards may have made the trip around the same time. Lemurs can’t swim, so some scientists hypothesize that the small-bodied creatures crossed the 250-mile-wide channel that lies between Africa and Madagascar after being swept out to sea in a storm, by holding on to tree limbs or floating mats of vegetation before finally washing ashore. But if the arrival were more recent, they might have had a shorter distance to travel, thanks to lower sea levels when the Antarctic ice sheet was much larger. “It’s possible that lemurs weren’t in Madagascar at all until maybe the Miocene,” as recently as 23 million years ago, Boyer said. “Some of the lowest sea levels were also during this time,” Heritage said. Either way, “the fossils tell us something we never could have guessed from the DNA evidence about the history of lemurs on Madagascar,” Boyer said. This research was supported by The Leakey Foundation and grants from the National Science Foundation (BCS-0416164, BCS733 0819186, BCS-1231288, BCS-1440742, DBI-1458192, BCS-1552848, BCS-1127164, BCS-1638796). CITATION: “Fossil Lemurs From Egypt and Kenya Suggest an African Origin for Madagascar’s Aye-Aye,” Gregg F. Gunnell*, Doug M. Boyer*, Anthony R. Friscia, Steven Heritage, Fredrick Kyalo Manthi*, Ellen R. Miller*, Hesham M. Sallam*, Nancy B. Simmons*, Nancy J. Stevens*, Erik R. Seiffert*. Nature Communications, August 21, 2018.